Productive assertiveness helps to quell resentment, and it also has a domino effect in strengthening relationships and harnessing inner confidence. “You’re trying to say, ‘I need to voice my complaint in a way that this person can actually receive it and make a change from it,’” says therapist Kerrie Thompson Mohr, LCSW. Basically, remove your verbal crutch of “they just doesn’t understand” from your vocabulary. And if this doesn’t come easily to you, it’s not game over. Mohr says assertiveness isn’t an innate feature of someone’s character, and that understanding that truth is key for growth. Rather, it’s a skill anyone and everyone can learn, hone, and improve improve upon. Okay, so that’s the good news, but how do you get to the assertive promised land? I asked NYC-based psychotherapist Kerrie Mohr of A Good Place, "you mentioned that it’s difficult for people to build those communities. So then what happens when we are not able to build those communities, when we’re not able to have a sense of belonging?" Her answer: "I think it can lead to pretty profound loneliness and with you have a lot of anxiety and depression and often a vicious cycle." 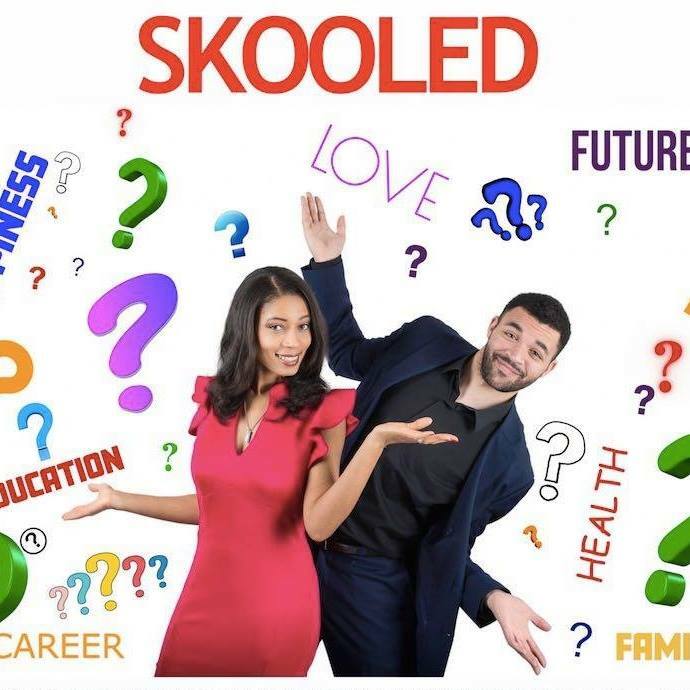 Find out why on the latest episode of #Skooled featured Mohr, who is also a volunteer with Sidewalk Talk : A Community Listening Project, a global organization of therapists and volunteers who listen to people share their thoughts and problems for free. Listen here, https://audioboom.com/posts/6860316-the-loneliness-epidemic, on iTunes (https://itunes.apple.com/us/podcast/skooled/id1345162022…), Google Play (https://play.google.com/music/m/Du7lfekmhhmnxexzeibctcdbonm…), or your fave podcast platform. Mental Health Services: How To Get Treatment If You Can't Afford It. As the number of people diagnosed with mental health issues such as depression rises to new highs, the need for medical services to treat them is growing too. Approximately 56 percent of American adults with a mental illness do not receive treatment. There's also evidence of a dire lack of treatment among teens, with the CDC reporting that the suicide rate for teens is skyrocketing. Why aren't people getting the help they need? The answer is complicated. On one hand there's the lingering stigma around mental illness that may hinder people from seeking care (a problem that campaigns like Mental Health Awareness Month aim to solve), but there's also the fact that our health care system has yet to treat mental health as comprehensively as it does physical health. There's no such thing as an insurance-covered annual mental health exam for instance, and therapists who do accept insurance are often working twice as hard just to get reimbursed by providers. These Positive Morning Tweeters Will Improve Your Dreaded Day At The Office. Most people start the day by scrolling through their phones, getting hit with the latest political drama or tragic news before they’ve even gotten out of bed. Not good. There are more than 200 billion tweets sent each year, and the likelihood is most are putting people in an anxious or angry state that can last throughout the day — which then has a lasting effect on work, relationships and health. In fact, researchers at the Pew Research Center found that social media actually induces stress, and Twitter, specifically, was a “significant contributor” to that stress. They found that especially after reading about other people’s issues, the person scrolling felt even worse. Sonya Veytsman, a New York City-based therapist who works at A Good Place Therapy and Consulting, chalks up those good vibes to confirmation bias, or the notion that through our current beliefs and experiences, future experiences become confirmed. “A professional counselor will explore the thoughts, feelings, and behaviors that are occurring when you feel under stress,” says Dr. Kaplan. Workplace stress triggers might be related to your environment, your coworkers, upcoming career benchmarks, or outside influences. Here are a few of the issues you might want to work through. 1. Asking for a Raise: “We live in a society where it is generally taboo to talk about money, so it makes sense that is hard to ask for a raise,” says Julia Lawrence, LMSW, a therapist at A Good Place Psychotherapy. She suggests role-playing in therapy the conversation you plan to have with your boss. A Good Place founder, Kerrie Thompson Mohr LCSW featured in an interview with Sacred Walker, on her Love Medicine TV show back in October. "The main similarity between PTSD and anxiety is that the body’s alarm system is somewhat broken," Julia Lawrence, LMSW, psychotherapist at A Good Place Therapy, tells Bustle. "Yet with PTSD, the fear is often specific to a reoccurrence of an event." For instance, if you find yourself playing an event over and over again in your head, that's a pretty good indicator that you may have PTSD and not just anxiety. "The visceral 're-experiencing' makes PTSD unique and hard to cope with," she says. "But with the right therapist, it's definitely possible to re-program that broken alarm system." "While sleep disturbances can happen for a number of reasons, struggling to fall asleep or stay asleep and other sleep issues could be a sign of anxiety. "These symptoms are activated due to the body going into flight or fight mode (activation of the sympathetic nervous system), which is a physiological response to perceived threat," Sonya Veytsman, a psychotherapist, tells Romper by email. Not being able to sleep might mean that your body's on edge, which can indicate anxiety." Kerrie was interviewed by a journalist for a Spanish publication, on loneliness in New York, an issue that surfaces often in the therapy room at a good place. Therapy, and initiatives like Sidewalk Talk, for which Kerrie serves as the NYC chapter Leader, can serve as therapeutic antidotes to loneliness. "It's a city dominated by professional ambition ," says Kerrie Mohr, a social worker and therapist, in her financial district practice. "People move here to achieve their professional goals. When you prioritize your career, what you are doing is not prioritizing being with family, or friends, that kind of organic support. From what I see in my work, in New York many people are isolated in different ways because they do not have those connections . And the connections here require more effort. " Mohr refers to the fact that social life in New York is like a job : schedules are hard, the big city, limited time, and meeting someone involves organizing a specific and good plan a few days in advance. Therapy in Action on Bravo's Summer House! The team at a Good Place is committed to raising awareness about the benefits of therapy. Watch this clip to see Kerrie and cast member Lindsay in session on Bravo's Summer House, Season 2, Episode 7, as we discuss how to handle intense moments with exes that are sure to have emotions flooded! Click here to check out the episode! Kerrie Thompson Mohr, founder of A Good Place, has been interviewed by Bustle in an article about dating for people that are suffering from anxiety. Until you’ve been to Japan, you have never really experienced attention to detail. Have you ordered a humble pour-over coffee? In every simple cafe in Kyoto, the experience is astonishing: it is liquid gold.